This week I've been busy with some things for Craftseller magazine again. I've been working on a couple of things which will be part of a 2013 calendar (yikes!) with an upcycling theme - little gift boxes and my hanging hearts from here. The gift boxes are something I learned to do way back in about 1990 - a lovely lady called Betty* who used to run the Mums and Tots group showed me this technique - she used to make them from old Christmas cards every year and used them for tree decorations, among other things. I was fascinated then, and they still fascinate me now. They're incredibly addictive - once you start making them, it's hard to stop and it's not an expensive addiction: they certainly lend themselves very well to recycling. They're really quick and easy, too. I'm also going to be working on a diary cover for Craftseller, but I have to wait a while to receive some papers which are currently being designed for a giveaway in the same issue. The theme is Paris in the springtime which sounds quite exciting! However, I will only have a few days between receiving the papers and sending the finished diary cover back, a mix of fabrics, papers and stitching - so I need to do some serious planning and groundwork now! 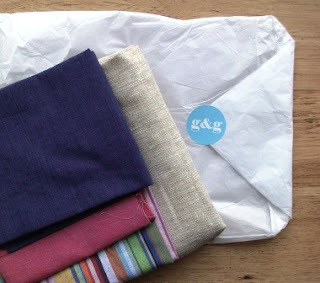 There's a superb natural linen for the body and some very lovely soft organic cotton and bamboo fabric for the clothes. This rabbit will be like a rag doll (but with a rabbit face and big floppy ears) and clothed: there will be a boy and girl version. This one's for Sewing World and will be published just in time for people to make him/her up as a Christmas gift. *Betty was one of the nicest, most genuine and selfless people I ever met. She didn't have kids of her own but adored running the toddler group and nobody ever went without a cuppa or a someone to talk to - and no toddler went without a hug (or a hand-knitted chocolate-filled mini-stocking at Christmas). Her funeral was so packed, we stood outside in the street. A wonderful lady, and one of those people who helped spread the word about crafts before we'd even heard of the internet. Thank you Betty for everything you did. Over to you - enjoy your Handmade Monday! awwww what a lovely way to remember a dear friend :) those boxes look amazing and definitely an addiction worth passing on to the next generation! It sounds like you have some wonderful projects on the go and that your skills are in much demand at the moment - how wonderful! That's a neat little box. Great way to use up all those scraps of paper and then decorate it. People come and go but inspirational people we meet through life always leave something behind for us to remember for years to come. Butterfly Blossom - do you think I need a trip to Paris to ensure authenticity in this project? Absolutely!! How else are you going to get the design perfectly reflecting the atmosphere and buzz that Paris has?! I'm available to help with the market research if needed! I'm looking forward to the finished bunny, because that fabric looks lovely! I really love the gift box!!! 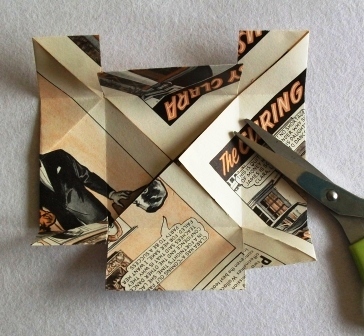 Love the box, would be a great way to use up some of my vintage annuals! Great box, can see an additiction in the making. A super post today. Love the little box, and loved hearing about Betty. The bunny has me intrigued, your description sounds divine. I cannot wait. Love the box and really want to know how you made it! 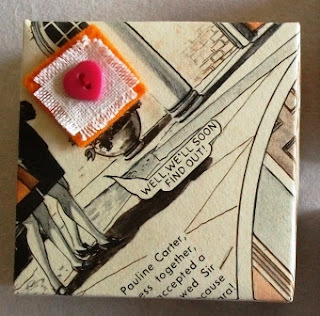 I was making those little boxes years ago too, and every now and then I need to do one up as a gift container...Thanks for the link up party, this is my first visit here so I will put you on my RSS feed and be back to visit again! I didnt make it for hand made monday this time, which is a shame coz Ive got quite a lot to show :( but i can see some lovely creations in the gallery. im gonna go and have a wonder round the blogs. 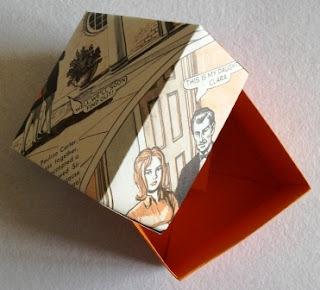 you paper gift boxes reminded me that i used to make the same! they are cool and so easy to make. i used to make mine out of paper on which first i used to doodle some oriental designs then i painted them with watercolour paints. its a great idea to make a personal gift! ΠΟΛΥ ΩΡΑΙΑ ΟΛΑ ΟΣΑ ΚΑΝΕΙΣ!! !